Aric Mc Kown is back by popular demand. Get back to the roots of Rock & Roll with a Tribute to Elvis recreated by Aric McKown. For over 20 years he’s been keeping “The King’s” legend alive with his dynamic performances. Last year he literally stopped traffic with the finale crowd overflowing and dancing in the streets! And did you know, right here in Bainbridge, Elvis has NOT left the building? He’s our Town Clerk! Rosetree features Celtic, Americana /Bluegrass, Eastern European, Scandinavian and other world folk styles. Since 2003, it consists of Amy Shapiro and Allen Lutins. Amy, well known to the Binghamton region folk scene, plays violin and nyckelharpa (a Swedish folk instrument). Allen, a multi-instrumentalist/ethnomusicologist, performs on guitar and winds for contra dances as well as with numerous acoustic ensembles in New York's central and Southern Tier regions, including Rosetree, Klezmer Kings, Cornell University Klezmer Ensemble, Bardo Brothers and Playford Gang. 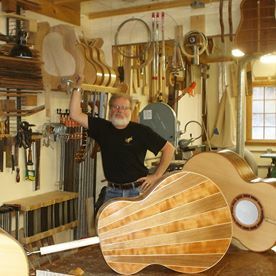 Steve Eisenberg, originally an Irish musician from Boston, has done business in Bainbridge since 1991, as a carpenter, antique dealer, musician, and volunteer at the local soup kitchen. He has a custom woodworking shop at 17 W Main St. A resident since 2012, he has been playing music at the Bainbridge summer flea market for the past 9 years. Steve played with several regional Bands with genres ranging from Blues to Country, to Bluegrass, to Celtic and more. He plays the Bodhran, Flute, Harmonica and Penny Whistle, interspersed with singing and storytelling. Local Seisiún is a group of friends who share a common love of traditional Irish dance music, slow airs, and an occasional song and story. The group is in its tenth year of playing together since beginning in late summer of 2007, meeting continuously for a casual session several times a month and playing occasional gigs around Delaware and Otsego Counties. Appearing as Local Seisiún Trio at this year's Regatta Row Street Art Fest on April 29, 2017, are Jean Withrow on concertina, Kathy Shimberg on fiddle, and Jim Haggerty on flute and whistle. We welcome spontaneous dancing by listeners and passers-by! Playing a mixture of Tremolo has been around for 20 plus years - Elaine has previously played in other groups including- The Wild Geese - a Celtic/Americana band from the Reading PA area, also Omeoba - a girl duo and When Pigs Fly - a local trio that plays weddings and special occasions. For the opening of Regatta Row 2017 - Street Art Fest, I will be playing with Kevin LaDue, a local luthier and musician. Originally from Weedsport, NY, I came to the southern tier in1979 where I was a public school teacher until 2012. Since retirement, I have had the great fortune to engage in a new career in guitar making, full time. I have been a luthier since 1993 and have played guitar and performed occasionally for 50 years. Osgood and Siegers, with near 90 strings between them, offer numerous musical textures. Selections that vary from Old Timey, to Celtic, to Americana, French Canadian and even Vintage Jazz Standards are in the offering. Osgood has been playing hammered dulcimer for over 30 years, appearing at coffeehouses, festivals, contra dance halls, museums and more. He has released 3 music CDs and plays guitar and banjo as well. RJ Siegers is the southern tiers Banjo Wizard, winning awards for his innovative melodic arrangements on five string banjo. He also plays mandolin and guitar and regularly teaches folk instruments courses at SUNY Broome as well. Saxalicious is the sax section plus one from Small Town Big Band. We play a variety of styles music: folk, showtunes, swing, ragtime and more. We perform with 4 to 6 musicians. Tom MacMillan, from Richfield Springs, retired Music Educator. Fetish Lane will appear with 2 members representing the band for the performance at the Regatta Row. Ken Held and Brian O’ Connell will be performing a mix of old and new original songs. The band has been rehearsing recently for a new studio album that will be recorded this year. The music is a blend of folk and rock with other roots based elements. The song writing is powerful and often informs the mind to venture on a journey of the song. contact: Joe Lombardy 607-334-4801, 12 Hickok, Norwich, NY 13815.
keys. Joe is a self taught musician who's been performing in the area for over 40 years at parties and special events. His diverse audiences include Chenango Memorial Hospital, NBT Bank, the NYS Veteran's Home and the Regatta Row – Street Art Fest in Bainbridge. Joe and Barbara’s warm personal style is very appealing to children, who find delight in music. He will kickoff the children’s musical games at Regatta Row’s “Kids Korner” at 6:00 on April 29 and delight all ages throughout the night. Their interactive style invites audience participation and honors requests. Joe and Barbara embody the joy of music. ​Joe VanSteenburg embodies the Olde World Organ Grinders and brings back the nostalgia of days gone by to the delight of children and adults. 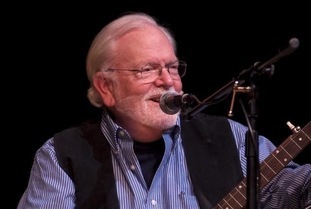 Jim Dorn has played guitar and accordion for many years. Beginning in the Boston area in the 70’s, Jim expanded his horizons, playing in schools, coffee houses and on stage at Arts and Music festivals through several states. His Shows includes decades of Pop music from the likes of James Taylor, John Denver, Simon and Garfunkel, Jim Croce, the Beatles and many others including some country from artists like Alan Jackson and George Strait.